My Pieces of Time: Old Panama City Beach!!! 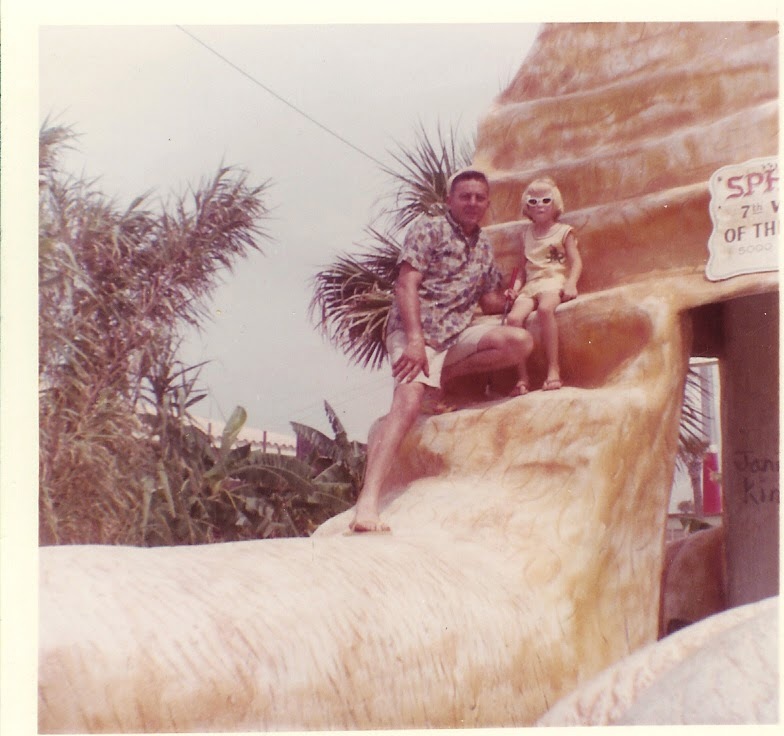 Chances are if you grew up in the Southeast you were familiar with Panama City Beach Florida. And if you are my age (growing up in the 1960's) there are certain things that probably come to mind!!! Long car rides with no air conditioning, laying across the back of the car in the sun, windows down. 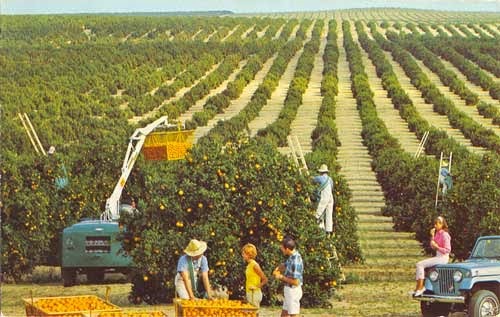 And you knew you were getting close when you started seeing orange groves on the sides of the highway. And even closer when you finally got to the big bridge!!!!!!! orange groves on side of road! The old Hathaway Bridge (now replaced with new sleek concrete double bridge!) 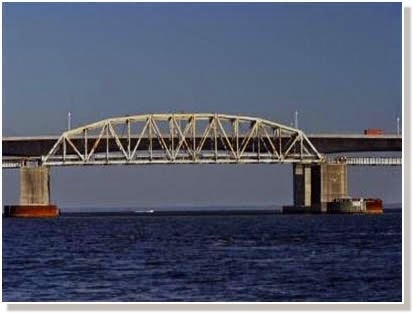 The old one was a draw bridge and I was always afraid going over the opening part!!! 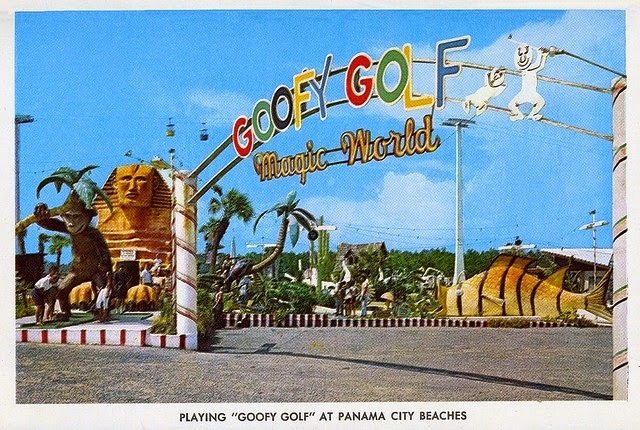 One of the things that was always waiting was "Goofy Golf"!!! We always stopped at least once to play a couple of rounds here! The main attraction was "Miracle Strip Amusement Park", which was the place to be at night! Lots of cool rides and things to do! This was the home of the "Starliner" roller coaster, which happened to be the FIRST roller coaster that I ever rode!!!! 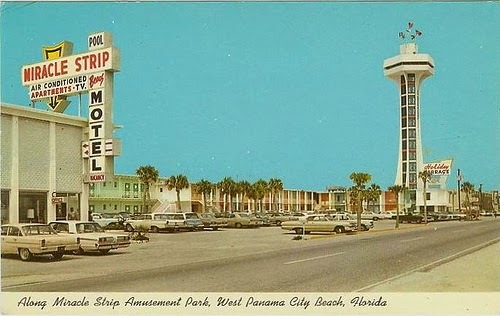 Also, back then most of the hotels were one story court style motels, or two level hotels. But there was one large luxury hotel on the beach and everyone wanted to stay there, it was the "Fontaine Bleau". And back then it was the shining gem of the beach!!!! In later years it was dwarfed by the large multi story condominiums and hotels! But back then it was something!!! There was just something special back then, things were just so different. If you grew up visiting here please leave a comment and let me know what things you remember the most!!!!!! Wow. I remember the sand dunes at Panama City. We used to wax our skis and ski down them. Also remember the sand buggies that used to carry people on the back end if the buggy. 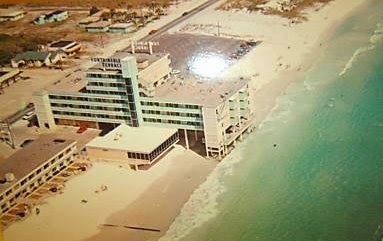 This was lo g before Panama City Beach became do commercialized. 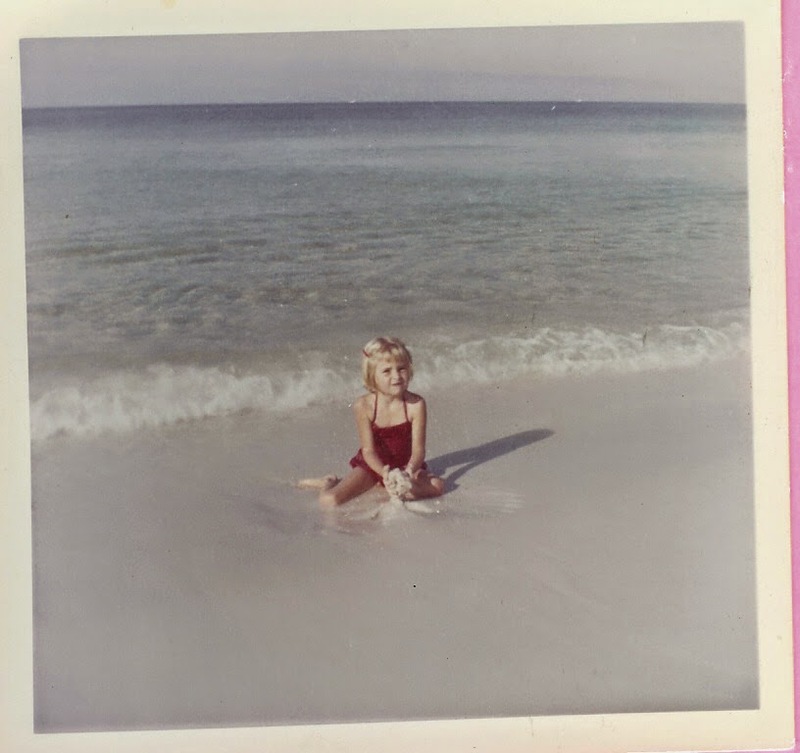 Living in Ft. Walton Beach in the 60's...I MISS ALL THIS!